At Wired Works we pride ourselves in outstanding services. TV installation is second nature to us. Since 2006 we have installed over 1,000 TV's on the wall. We try to be competitive on price and excellent on service. We have posted pricing on the most common hangs below. 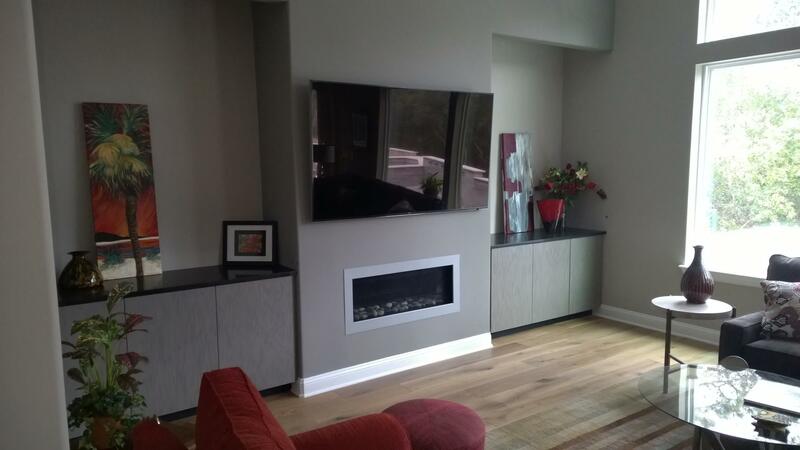 If you have a TV that needs to be mounted on brick, stone or any other odd place then we will need to see a picture of the area to give a proper quote. 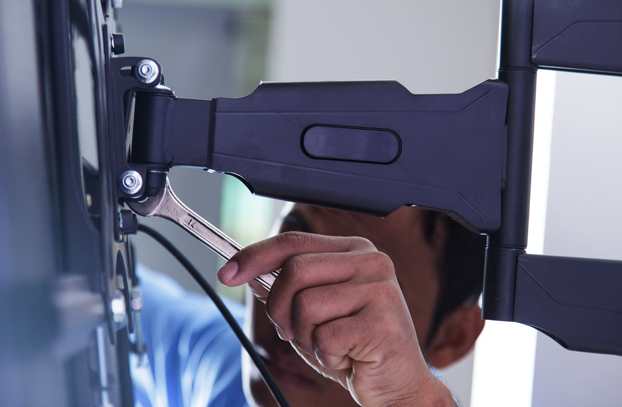 We look forward to helping you with your TV installation as well as our many other services we offer. 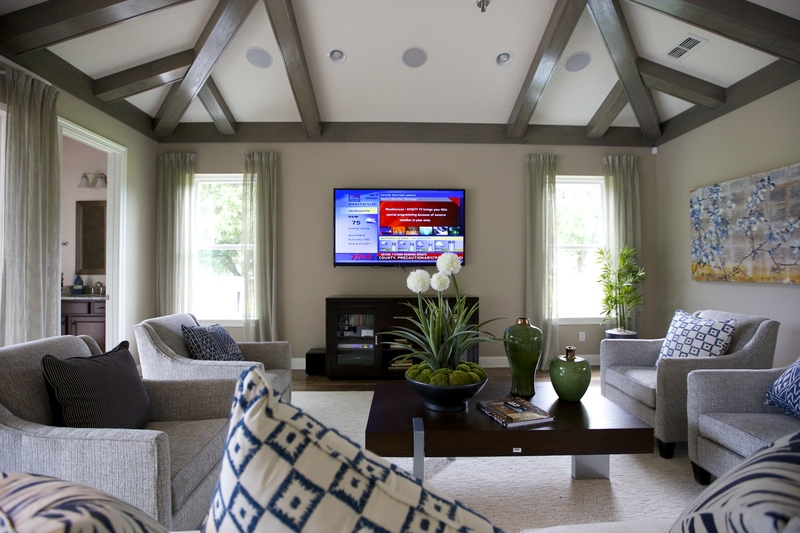 This package includes mounting a TV on drywall above a fireplace that is inside the home. Inside the home defines the fireplace as protruding from the wall with a cabinet or alcove on the left or right side. Fireplaces that sit outside the house will need special conduit and extended wiring. Those will need to be priced separately. 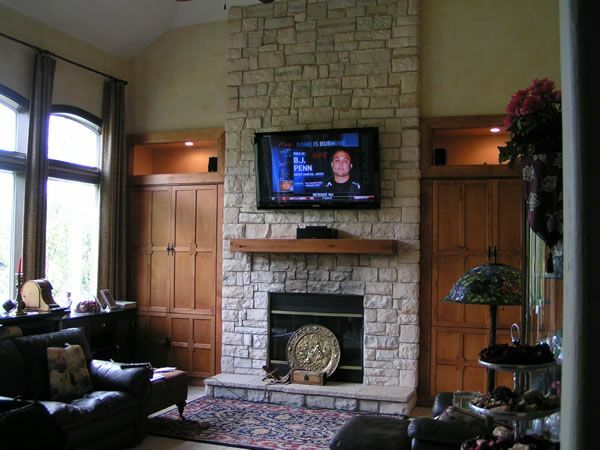 This installation package includes mounting the TV over a brick or stone fireplace. Depending on the fireplace we may need to use conduit for the wiring or we may have to do attic work to get the wiring to the TV. Attic work and moving wires to the fireplace is not included in this price. We can provide a separate quote for that. Powerlink kit. 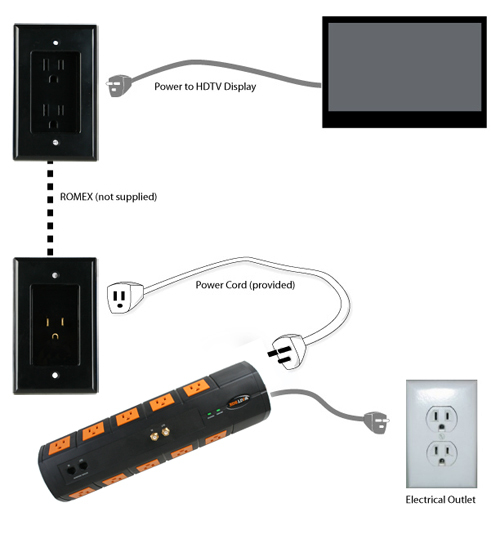 This kit bumps up power from below the TV to behind your TV. It also allows you to plug in your TV to a surge protector. Surge not included in price. 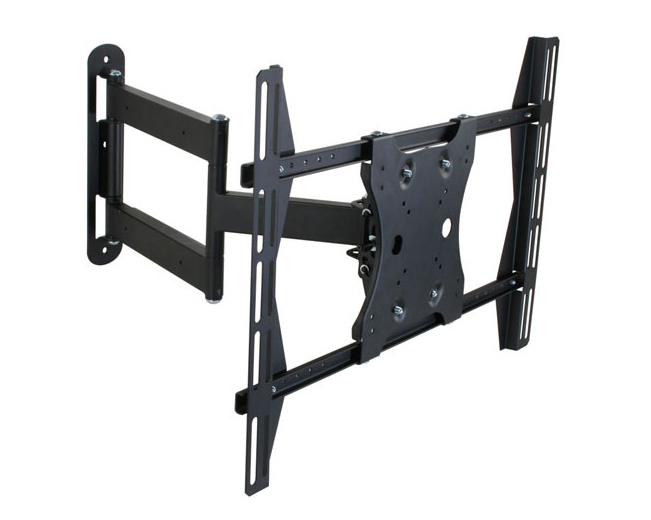 Tilting mount for TV's 40" - 80" Tilts down from 0 to 15 degrees. 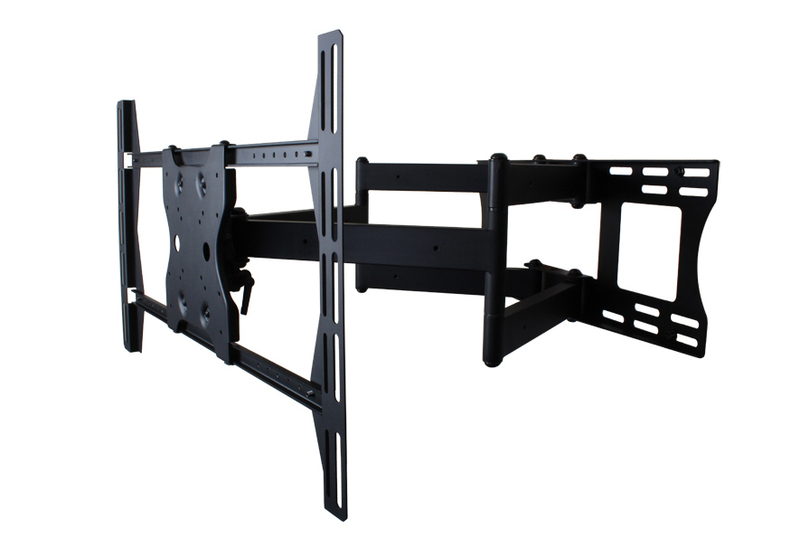 This mount has one of the longest extensions of any mount. Extending 30" off the wall and closing to 3.5" from the wall. 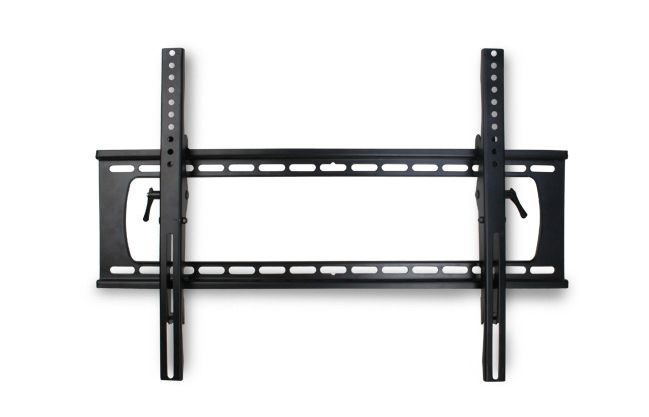 This mount is a heavy duty single stud mount. Extending 25" off the wall and closing to 3.5" from the wall. Supports TV's 40" - 65".